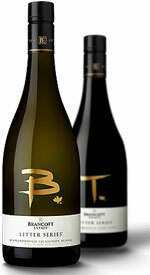 I recently participated in a digital tasting of New Zealand Sauvignon Blancs. With one exception, they were from Brancott Estate. The outlier was from Stoneleigh, which is a sister winery. Pinot Noir from New Zealand has been making a strong mark throughout the world over the last decade, with good reason, but it was with Sauvignon Blanc that New Zealand first made its mark internationally. This quintet showcases a variety of styles and choices made by growers and winemakers. The weather is warm and the time is right for keeping some Sauvignon Blanc standing by in the refrigerator. One of the five choices below should quench your thirst. Grapefruit and gooseberry aromas leap from the nose here. Lemon zest, minerals and spice fill the palate, which is even-keeled and fresh. The finish shows off hints of yellow melon, white pepper and continuing citrus elements. This wine is also made to be 20 percent lower in calories. Year after year, this particular release stands as one of the great Sauvignon Blanc values in the world. It’s a wine of consistent style and quality. Citrus and tropical fruit aromas abound on the nose. The palate is generously laced with tons of gorgeous fruit flavors and tiny wisps of grass. Papaya, yellow melon and white pepper emerge on the lovely finish. It’s a middle-of-the-road Sauvignon Blanc in the way you want an entry level wine to be. It has good varietal character and lots of drinking pleasure. It’ll appeal to a wide array of taste buds. Stock up and drink this all summer. The aromas here are slightly more reticent than on the other wines, but white flower and ruby grapefruit aromas are evident. The palate has tons of minerals and spice along with fruit flavors that fill a somewhat subservient role. Wet limestone, lemon ice and a touch of chamomile tea are all part of the substantial finish, which has memorable length and depth. A bit of mesquite appears on the nose along with bright stone fruit. Peach, nectarine and apricot flavors all appear on the palate, along with hints of grapefruit. All of those characteristics carry through to the finish and are joined there by a refined core of minerals and elements of spice. The finish is long and impressive. Chosen Rows is a tiny production from a producer that makes, well, a lot of wine. This selection is limited to a grand total 3,500 bottles which are hand numbered. 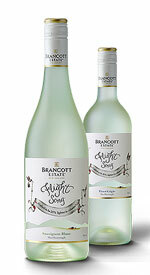 Gooseberry and grapefruit aromas are dominant on the nose of this Sauvignon Blanc. The palate is gently layered with tons of depth and complexity. The fruit flavors are joined by bits of savory green herbs. This wine has remarkable persistence, and a prodigious finish which goes on for an impressive length of time. Continued citrus fruits, bits of grass and white pepper are all in play as things come to a close. On its own, this Sauvignon Blanc is delicious and mouthwatering. When it’s paired with the right foods it’s simply stunning. Quite simply, Chosen Rows is one of the best Sauvignon Blancs in the world. Sauvignon Blanc is one of the most adaptable grapes in the world. Some grapes only work in a limited range of styles; Sauvignon Blanc is more of a chameleon. This quintet showcases some of those styles through the lens of New Zealand Winemaking. Each and every one of these wines is delicious and fairly priced. Even Chosen Rows, at $65, is a fair value when you consider its quality and relative scarcity.